Pokémon Sun and Moon’s anime has picked up a lot in recent episodes with the arrival of Ultra Beasts and more!  Catch up on all that happened in our first ever multiple episode summary, in…. Check out the recent happenings in episodes 47, 48, and 49 of the popular Pokémon Sun and Moon anime! From an Ash vs. Gladion battle, an overnight sleepover at Professor Kukui’s place to Faba kidnapping Lillie and stealing Type: Null from Gladion for his own greed…..you don’t want to miss the suspense, do you? Read below for more! Episode 47: Gladion and Type: Null! The Mask of Punishment!! Ash gives Pikachu and Lycanroc a much-needed bath. However, when Ash tries to get Litten to have a bath as well, he simply scares it and it ends up getting Lycanroc’s cherished mane dirty by spilling water all over it. For Lycanroc, his mane is its pride. Annoyed by Litten, it chases the poor kitty until Ash stops them. Ash starts to think about showing his Lycanroc to Gladion when suddenly Nebby teleports the whole group to Ten Carat Hill. Here, they encounter a group of angry Pinsir. Luckily for them, Gladion and his Type: Null arrive at the precise moment to drive away the Pinsir. 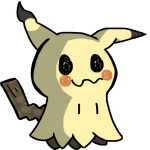 Gladion identifies Nebby as an Ultra Beast and is surprised when he gets to know that Lillie was the one to name it. Gladion narrates Lillie’s childhood experience to Ash and explains how she was attacked by an Ultra Beast and Gladion was not able to save her. From that day, he aimed to get stronger so he could protect his sister. With Lycanroc by his side, Ash challenges Gladion to a battle, insisting it would also help train Type: Null. Lycanroc starts with Rock Throw, and Type: Null counters it with Double Hit. 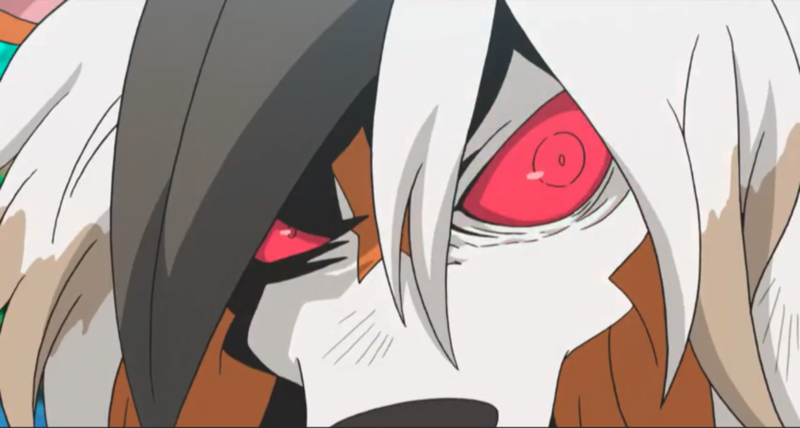 Type: Null uses Swords Dance to increase its attack and then tries hitting with multiple Crush Claws while Lycanroc defends with Bite. Gladion commands Type: Null to use Air Slash, but Lycanroc dodges with Accelerock and hits Type: Null. Type: Null, then executes a powerful Double Hit that sends Lycanroc flying into the lake. Lycanroc’s mane gets stained, and it gets enraged. In a fit of rage, it blindly attacks Type: Null, disobeying Ash. Ash somehow gets hold of it and Nebby’s cries calm it down. Another battle takes place between the two, but this time, Lycanroc gets defeated by a single Crush Claw from Type: Null. After the battle, Ash asks Gladion for another battle sometime soon. Gladion in return asks him to keep Type: Null’s secret from everyone, especially Lillie. The episode ends by showing Ash desperately trying to wake Nebby up so they could get out of Ten Carat Hill. Episode 48: Full Force Posé at the Sleepover!! Today is sleepover day! Ash has invited everyone to a sleepover at Professor Kukui’s lab. Since Professor Burnet is already present there, she gladly joins the group in their plans. To decide who is going to sleep in the loft upstairs, the group decides to play a game. It is decided that whoever finds Nebby first will get to use the loft. Everyone gets down to find Nebby, but eventually Lillie finds it and the girls get to use the loft. Time for another game! Professor Burnet suggests that the group play “Full powered Posé, One, Two, Three.” Everyone agrees to play and each of them is accompanied by their partner Pokémon. Apparently, Lana and Sophocles are not too good at the game, so both are eliminated. Then Ash goes down, and finally the competition between Professor Kukui, Professor Burnet, Mallow, Lillie, and Kiawe ends when Kiawe accidentally commands Turtonator to use Inferno Overdrive. All things aside, everyone is anticipating dinner. Professor Burnet gets into the kitchen with Ash, Mallow and Lillie to prepare dinner. After a long wait, dinner is served, but just when everyone is appreciating the delicious aroma of the food, Professor Burnet’s Munchlax appears and gulps down all the food in one helping. Disappointed, the group goes down to the beach to observe Litten and Lycanroc battling to pass time. In the meantime, Professor Burnet quickly gets the necessary ingredients and gets on to prepare the food one more time. When the group returns from the beach, they are served late-night dinner and everyone eventually goes to sleep, except Lillie and Professor Burnet. Lillie walks down to the beach in the middle of the night with Snowy. Professor Burnet follows and talks to her, asking what’s wrong. Lillie opens up to her about her mother, Lusamine, and how she (Lusamine) could not find time to spend with her. Professor Burnet explains to Lillie that her mom is a working person, and remains busy most of the time, but she still loves her daughter more than anything else. Lillie smiles knowingly. The next day, everyone says goodbye to both the professors and Ash accompanies the group with Nebby. While walking, Lillie wonders about what her brother Gladion might be off to, and is immediately teleported to Gladion’s hideout by Nebby. Lillie eventually encounters Type: Null and all her childhood memories of Silvally come to life. When she gets teleported back, she collapses on the ground, with her fear for Pokémon coming back once again. Episode 49: Lillie and Silvally, the Resurrected Memory!! The beginning shows a teary-eyed Lillie writing about her previous day’s experience and apologizing to Snowy for not allowing it to touch her. Gladion blames Ash for what happened to Lillie the previous day, which left Lillie afraid of Pokémon once again. When Gladion returns to the motel, the owner tells him that someone is waiting for him in his room. That “someone” apparently turns out to be Faba, who has come to take Type: Null back. Gladion refuses and challenges Faba with Lycanroc and Umbreon, but they are no match against Faba’s ‘Miracle Eye’-aided Hypno and Alakazam. Faba puts Gladion to sleep using Hypno’s Hypnosis and takes Type: Null with him. Back at the Trainer’s School, Lillie is struggling to touch Snowy. Even with all the encouragement from her friends, even a slight touch from Snowy turns Lillie to stone. After school, Lillie takes Snowy for a walk and is accompanied by Ash, Pikachu, and Nebby. When Ash asks what had happened to her the previous day, Lillie begins narrating her story. She tells him how she and Gladion used to be when they were kids. They used to go out with Lusamine for Lapras rides in the sea and play near the beach, but when her mother got busy, everything changed. Lusamine began spending little to no time with them. One day, while Lillie was exploring the underground labs, Nihilego, who appeared from an Ultra Wormhole created by Faba, attacked her. As Nihilego tried to take her into the wormhole, she was saved by Silvally, but she did not acknowledge it and the whole experience left a deep scar in her life. The fear of Pokémon engulfed her, and she was left helpless. As they are talking about the Aether foundation, Nebby teleports them to the Underground labs. Faba spots them and orders Team Rocket to capture Lillie, saying that he’ll then use Hypno to erase her memories. Team Rocket refuses to do the job and exits the scene. When Lillie and Ash enter a lab, they are attacked by Hypno and Alakazam’s Psychic. Both of them are thrown apart and Faba abducts Lillie. Meanwhile, Gladion searches Faba’s lab and gets his Type: Null back. Rotom Dex’s red alert tells everyone of Faba’s presence. Nebby teleports Ash and Pikachu to the spot, but Faba’s Hypno and Alakazam are too strong for the group. When Lillie tries to save Ash, she herself gets caught in Alakazam’s Psychic. Just then, Gladion enters and sends out Type: Null. Type: Null quickly evolves into Silvally and saves her from Alakazam. This reminds her of the time Silvally saved her from Nihilego and all her memories come pouring back. Gladion then equips Silvally with a Dark Memory and commands it to use a super-effective Multi-Attack, which quickly defeats both the Psychic types. Faba flees the spot owing to his defeat. 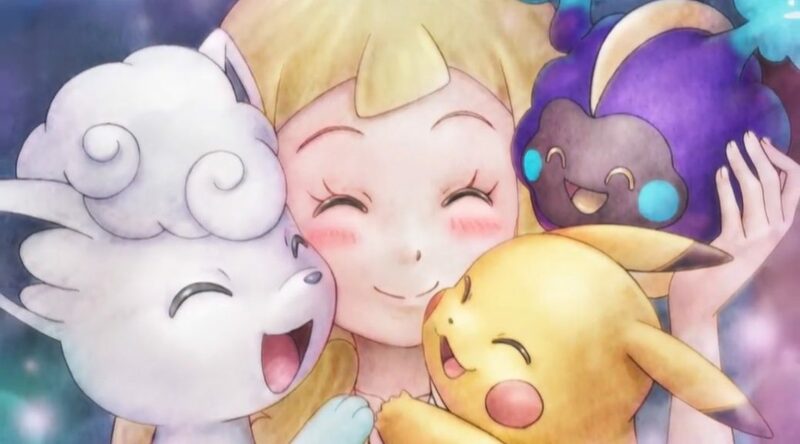 In the end, Lillie thanks Silvally and hugs all the Pokémon now that her fear of Pokémon has been eradicated. The anime has certainly picked up a lot in recent episodes. Although the episodes till now were full of fun and adventure, a more serious arc is going to commence. What do you think about these episodes? Tell us your feedback and stay tuned for more! Edited by BadSheep, bobandbill, Rabinov and Z25.